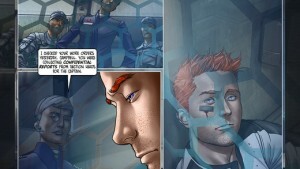 Midnight Rises (Graphic Novel) iPhone App Review. We all see the DC and Marvel Comic Book inspired movies every year. The Box Office numbers are living proof of just how popular these movies are. But how long has it been since you last read a Comic? I know watching the movie is a lot more fun, engaging, and action packed. But with today’s technology, comics aren’t what they used to be, either. 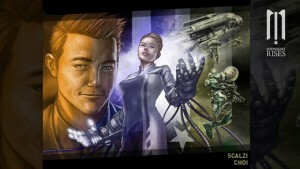 They may not yet be as engaging as the movie, with its special effects, and top rated actors. But they’re not anymore just about reading, either. And Midnight Rises is the perfect example of a modern graphic novel. 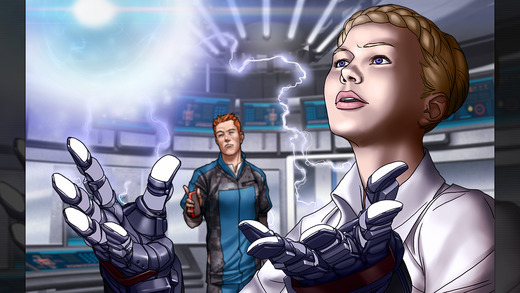 Midnight Rises is an interactive graphic novel. So, reading the story, doesn’t only mean you get to find out its twist and turns, but you also unlock all sorts of interesting items. From special packs containing additional info about the characters, to all sorts of bonuses, and extras that make the entire experience more engaging, and fun. Also, you get to actually be involved in how the story plays out. Control the actions the main character takes in key points, by deciding which mission you want to him take on next, where to go, or what to say. All these actions may not affect the final outcome of the story, but it feels good to be the one deciding the path you want the character to follow towards that outcome. And Midnight Rises also has really nice graphics, and controls. You get a quick Tutorial at the beginning that gives you all the information you need in just a couple of seconds. Plus, you constantly get new pieces of info, every time there’s a new command you must apply, or when you unlock a special item. As far as the actual story is concerned, I found it to be quite captivating. It is surrounded, right from the start, in this aura of mystery that immediately gets the reader hooked. And, since the action is set 120 years into the future, at the board of a ship researching an unordinary signal coming from within our Solar System, you know there’s pretty much anything that can happen. What do you think of Midnight Rises (Graphic Novel)? Scroll down for our comment section and let us know!